So we have our first female presidential nominee. We should all be happy about that. And I am happy. 2.) Having said that, I wish Hillary had dropped out. And the argument put forth by all of the Hillary supporters (who, by the way, are just as biased and belligerent as Bernie supporters, in my experience) — “If you don’t support Hillary then Trump will win and it’ll be all your fault!” — is both sad and untrue. It’s sad because it’s basically just the same old “Don’t vote for the candidate you support, vote for the candidate we tell you to! You have to pick the lesser of two evils!” canard. (Gee. I’m inspired.) And it’s untrue because all polls — plus some logic and common sense — show that Sanders is the much stronger candidate against Trump, and would have a much easier time defeating him than Clinton would. Perhaps equally important, a high voter turnout means that we can also begin to take back control of The House and Senate, so that the next President will not have their hands tied the way that Obama did. 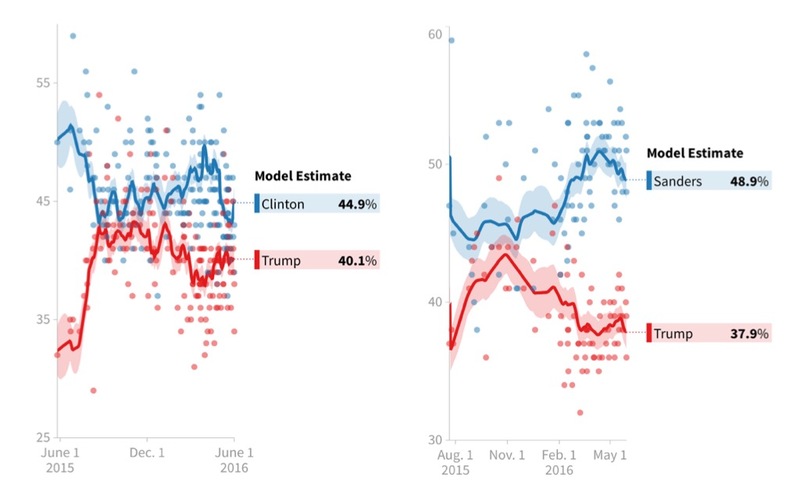 So why aren’t Hillary supporters to blame for increasing the likelihood of a Trump presidency? Why didn’t Hillary supporters call for her to drop out so we could all “unify” and unite behind the best candidate and the one most likely to defeat the Republican candidate? How is it that Hillary and her supporters are not seen as self-interested and putting their candidate over the good of the party and the country? … I’ll hold my breath waiting for the answer. stanleypiano.com @StanleyPiano, the world’s first interactive player piano, makes his worldwide debut at Seattle’s Capitol Hill Block Party. Stanley is a precocious instrument who takes song requests via Twitter. Stanley can play a lot of songs, but he loves indie music. He even went out of his way to learn a song for each of the bands playing at the Block Party. Stanley bares all as his moving parts (gears, bellows, hammers, valves) visibly work as the keys press themselves.